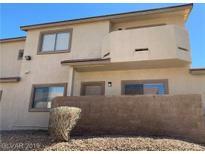 Below you can view all the townhouses for sale in the Sunrise Mountain subdivision located in Las Vegas Nevada. Listings in Sunrise Mountain are updated daily from data we receive from the Las Vegas multiple listing service. To learn more about any of these townhouses or to receive custom notifications when a new property is listed for sale in Sunrise Mountain, give us a call at 702-323-5951. Backyard oasis with gorgeous Pool & Spa. MLS#2088477. Innovative Real Estate Strateg. Gated Community With Pool And Spa. Tenant Is Month To Month. MLS#2085664. Realty ONE Group, Inc.
Large Guest Room With Hug Closet And Lovely Bath With Tub/Shower Combo! Come View! ! MLS#2082979. Turn Key Property Solutions. This Property Is An Excellent Value!! ! MLS#2080419. Elite Realty. Cathedral ceilings in your form liv rm, form din rm, Massive fam rm w/ fireplace, Eat in kitch & lrg kitch w/ Island,enjoy the dwnstrs bdrm w/en-suite.Upstairs enjoy remaining 4 bdrms w/ huge Mstr & balcony.This hm truly is a dream.So many upgrades MLS#2081017. Realty ONE Group, Inc.
Must See this home wont last! 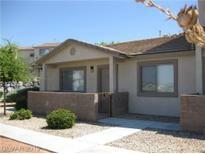 MLS#2080823. Lyons Share Real Estate. There is an open kitchen and a large living room. MLS#2078721. TR Realty. Smart thermostat, USB power ports, and LED lighting in some areas. All Appliances included!! Must SEE! ! MLS#2078727. Allure Realty Group LLC. Great Backyard Space with Covered Patio. MLS#2077067. Realty ONE Group, Inc. Cozy two story Townhouse with laminated floors, each bedroom has a balcony, master bedroom's balcony with mountains view, community pool and covered parking space. MLS#2074966. GK Properties. Downstairs has an open layout, laminate flooring, gas fireplace, all appliances and Tuff shed in backyard are included. MLS#2068074. Lifestyle LV. Property Features New Flooring Throughout Entire House, New Paint, Breakfast Bar, Vaulted Ceilings, Community Pool All Appliances, Covered Front Porch, Amazing Strip & Mountain Views. MLS#2059901. Urban Nest Realty. Don't settle for some run down home , wake up daily to this lovely home. MLS#2062592. United Realty Group. Located In A Gated Community Featuring A Community Pool. A True Must See! MLS#2055236. Keller Williams Market Place. Seller Will Install Door To Den Upon Request Making It A 4th Bed! !lease Buyout-30 Day Move-in MLS#2047637. Turn Key Property Solutions.